If you are busted for a DUI or any other offense in the Kent County, Michigan cities of Sparta, East Grand Rapids, Lowell, Rockford, Caledonia and Cedar Springs, you will be showing up for court before either Judge Sara Smolenski or Judge Jeff O’Hara. The 63rd District Court is located at 1950 East Beltline Road, in Grand Rapids, Michigan. 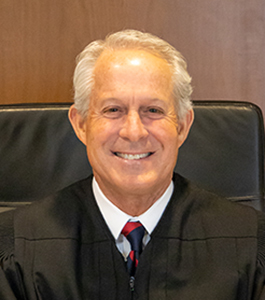 Judge Jeffrey J. O’Hara grew up in Grand Rapids. He is a graduate of Michigan State University and received his Juris Doctorate Degree from Thomas M. Cooley Law School in 1985. He was a private practice trial attorney until being elected as Judge of the 63rd District Court in 2014. In 2012, Judge O’Hara was admitted as a Fellow of the Michigan State Bar Foundation for his outstanding legal ability. In 2016, Martindale Hubbell rated Judge O’Hara “AV Preeminent,” which is the highest possible rating in both legal ability and ethical standards reflecting the confidential opinions of members of the Bar and Judiciary. Judge Sara J. Smolenski is a Grand Rapids native. She earned an Associate of Arts Degree from Grand Rapids Junior College and a Bachelor of Arts Degree from the University of Michigan. In 1982, she earned a Juris Doctorate Degree from the Thomas M. Cooley Law School. She was elected to the bench in 1990. 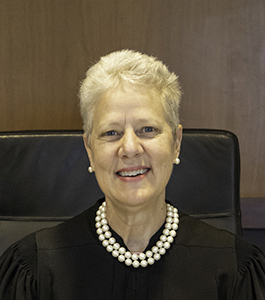 She was appointed by the Michigan Supreme Court as Chief Judge of the 63rd District Court in 1996. The first appearance you will face for any misdemeanor charge at 63rd district court is the arraignment. At this appearance, you will be allowed to plea not guilty or guilty to the charge. The Criminal Defense Law Center of West Michigan always tells people to plea not guilty at their arraignment. You will sign an advice of rights form. If you hire an attorney before the arraignment, your attorney can waive this step for you. After the arraignment, you will have a pretrial conference around four to five weeks later. This can sometimes be up to six weeks later. If the charge you are facing is a city of East Grand Rapids violation, you will deal with a city attorney. If you are charged with a county crime, you will deal with the Kent County prosecutor’s office. After the first pretrial conference, you will have another pretrial conference four to five weeks later. As a general rule of thumb, you can avoid coming to a pretrial conference if you have an attorney show up for you. After the pretrial conferences, there will be a jury pick and then a trial. You need to show up for your jury pick and trial. If you lose your trial or agree to a plea deal, you will be sentenced. Both judges are reasonable when it comes to sentencing. Fines and costs at 63rd district court range from $500.00 up to $1,300.00. There is a chance the person being sentenced will be given community service at their sentencing. Operating While Intoxicated Offenses in the 63rd District Court. If you are busted for a first offense OWI/DUi at 63rd district court, you are facing up to 93 days in jail. However, most people are not given any jail time. You will be given a year or two of probation and most likely community service. If you caused damage from an accident, you will have to pay restitution. If you have gotten a substance abuse evaluation from a professional, you can expect to be sentenced right after you plea guilty. If you are busted for a dui and are facing court at 63rd district court, please call Shawn today at 616-438-6719. The call is free. Will you be? Our Dui-Lawyers-63rd-District-Court can get you the results you deserve!